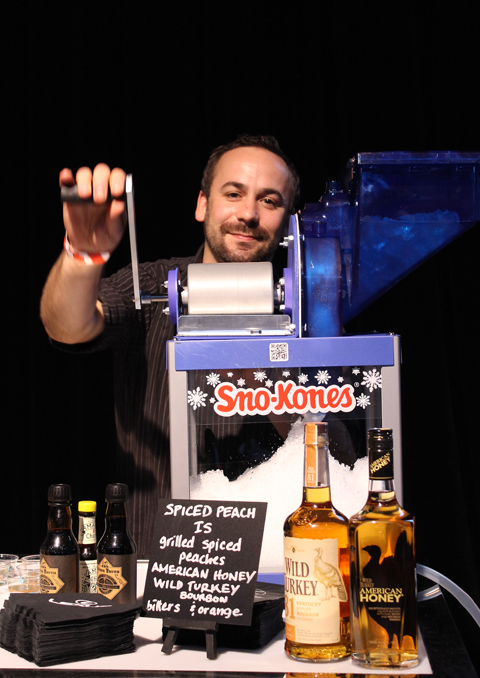 Enjoy some snapshots from last Friday’s events. The calm before the crowds are let in. 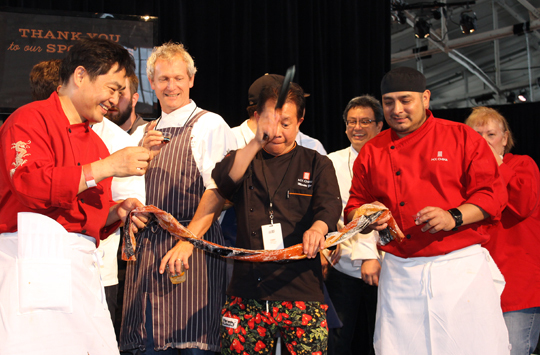 Chef Martin Yan yucking it up for the cameras as he uses his knife skills on the fruit leather (rather than ribbon) that was cut to mark the opening of the festivities. 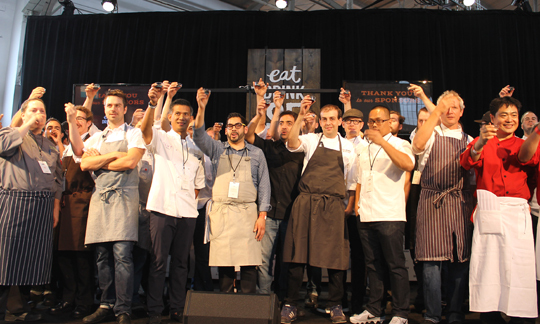 How many chefs can you name? Friday’s group toasts the start of the event with shots of Fernet, of course. 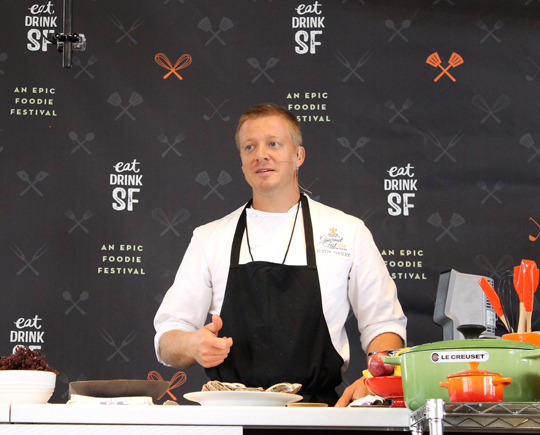 Chef Justin Cogley of Aubergine in Carmel doing a demo. 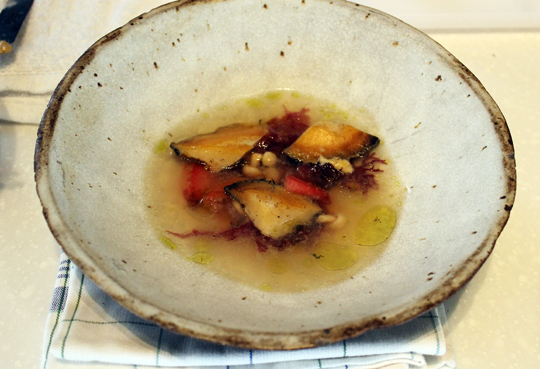 Cogley’s dish of abalone in umeboshi broth with plums and green tea oil. 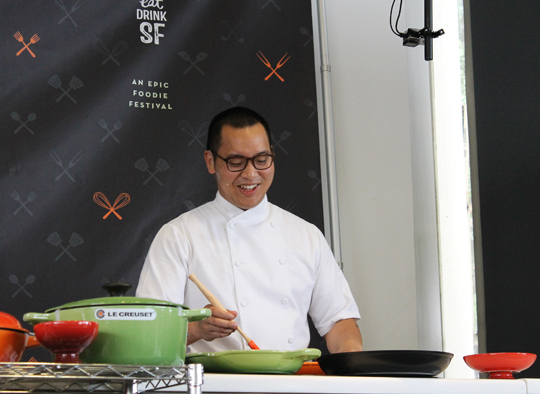 Chef Justin Yu of Oxheart in Houston. 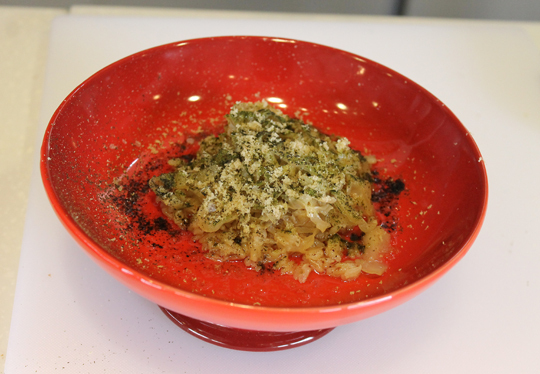 Yu’s dish of duck-fat fried rice flavored with cured blue runner fish and nori powder. 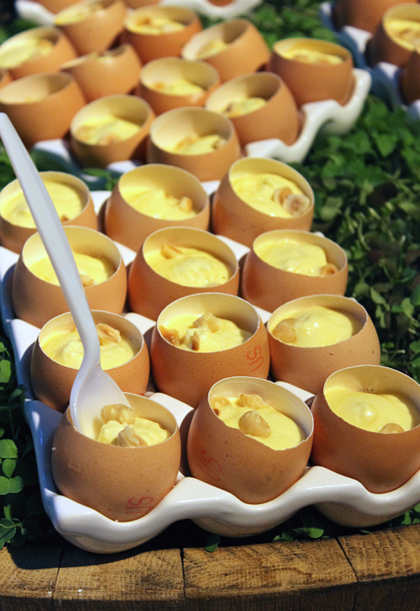 Spruce restaurant’s coddled farm egg with truffles. 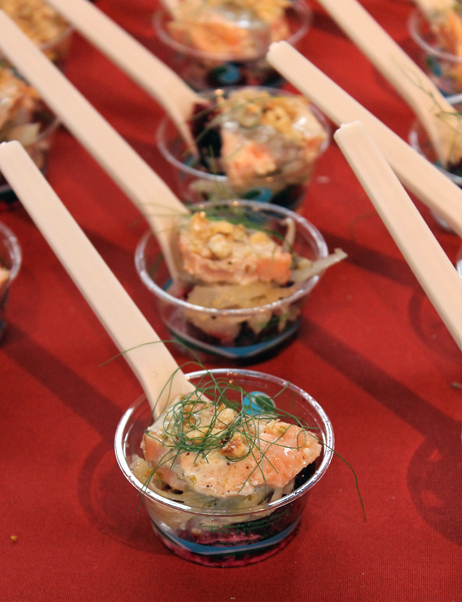 Calafia’s Loch Duarte salmon with pickled fennel. 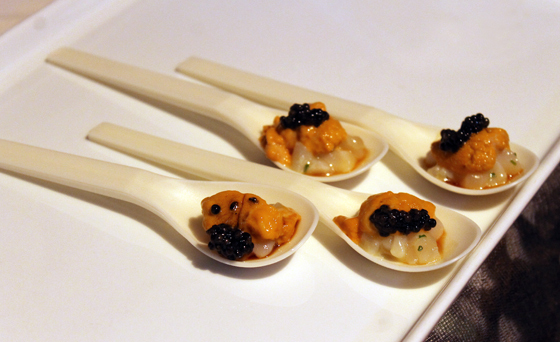 My favorite bite of the night: Restaurant 1760’s Hokkaido Scallop tartare with uni and caviar. 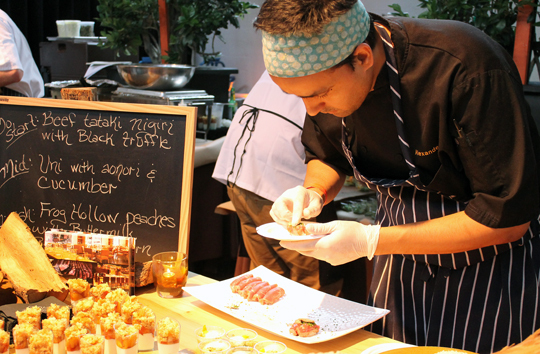 Chefs prepping at Alexander’s stand. 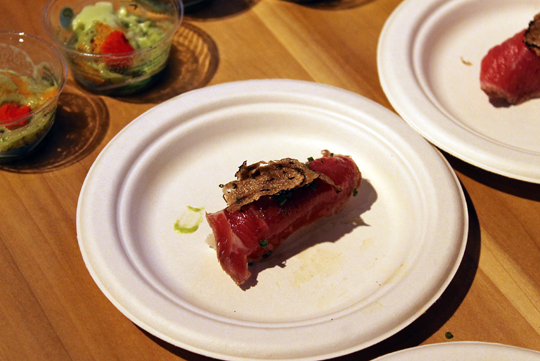 Beef tataki with black truffle at Alexander’s. 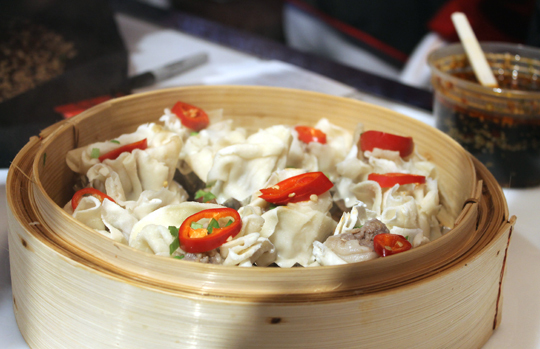 Dumplings fresh from the steamer from M.Y. China. 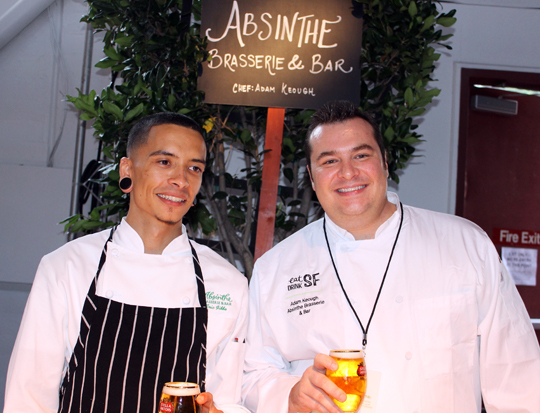 Chef Adam Keogh and his assistant of Absinthe Brasserie. 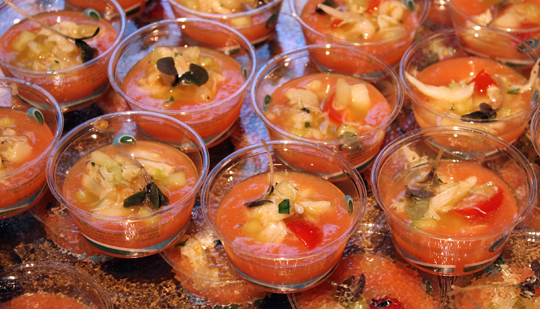 Absinthe’s melon gazpacho with Dungeness crab. 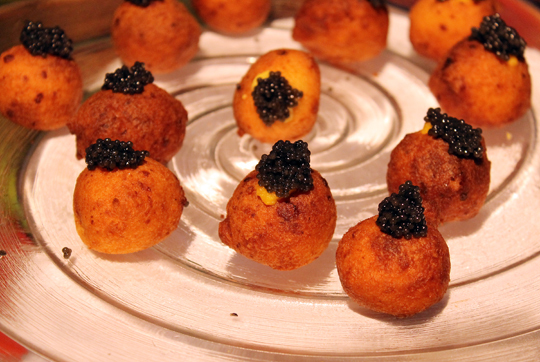 Corn-ricotta doughnuts with caviar from Waterbar. 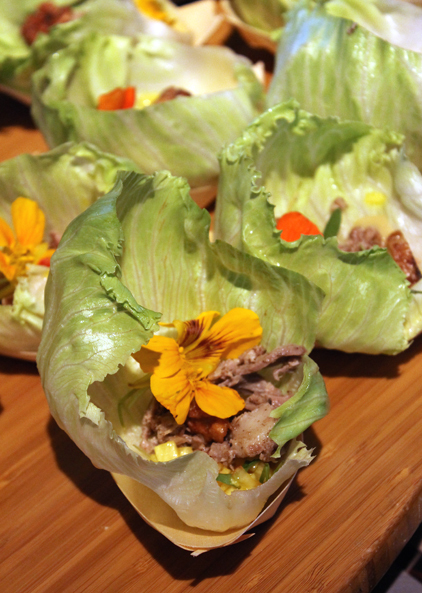 Peking duck wraps from MaSo in the Westin San Francisco. 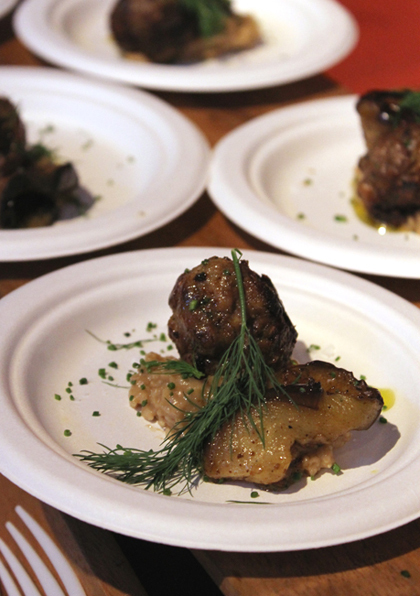 Lamb meatball with curried eggplant and savory oatmeal from the Coachman. 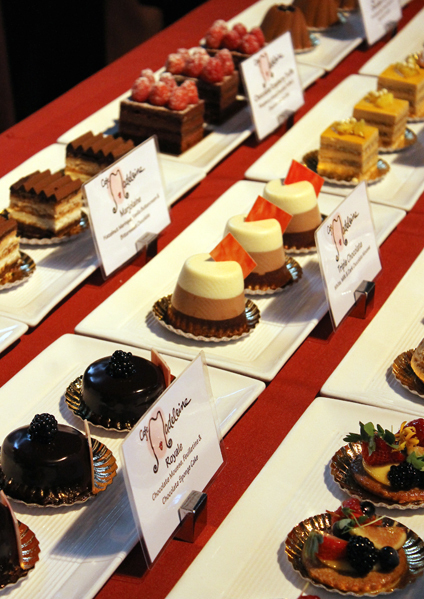 An array of sweets from Cafe Madeleine. I was out of town so missed this event. Thanks for letting me tag along virtually through your pictures! I would have loved the scallop uni caviar bite as well. All the best tastes of the sea. Can’t beat the combo of uni and caviar. Love the new location – so much more space! Seems we were there on the same day! 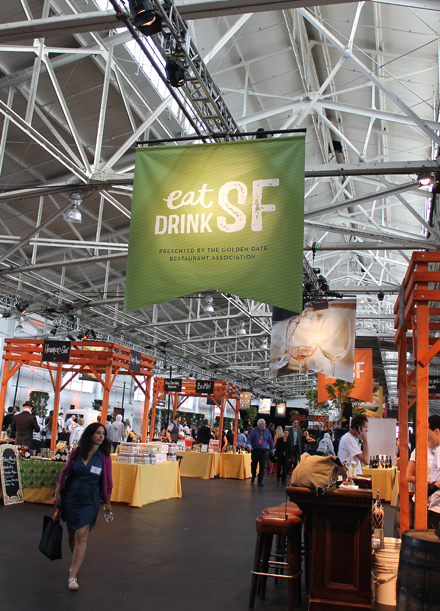 It was a great event to get to know restaurants in the Bay Area. 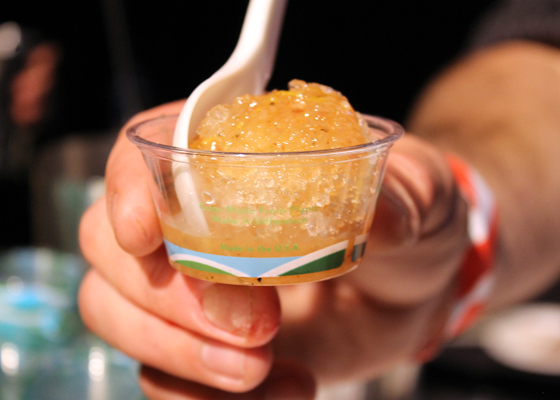 Wow… and this is one reason I wished I lived in SF! And corn-ricotta donuts? 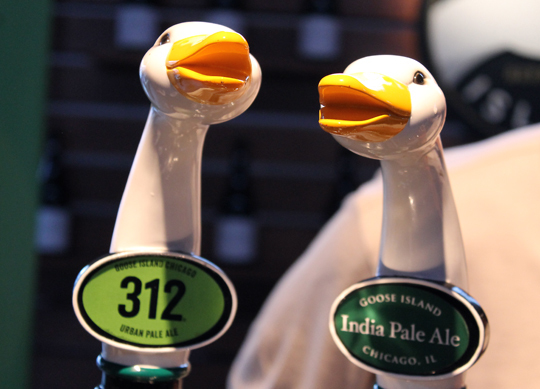 Oh wouldn’t mind you discovering this recipe for us!